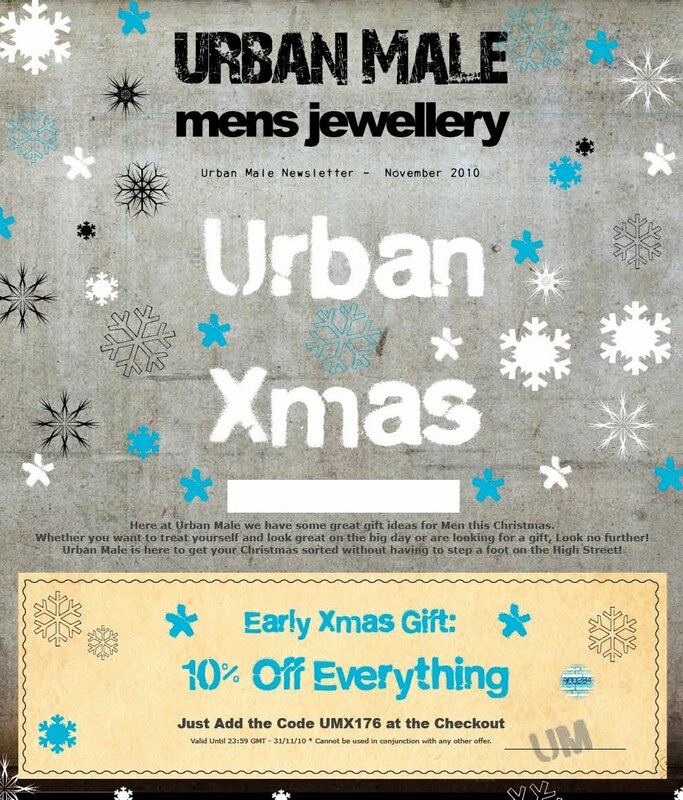 Urban Male Christmas – Gift Ideas + 10% OFF Everything! Urban Male Offers Free UK + Worldwide Delivery. Plus If you can’t wait, next is only £3.99 Urban Male has Some great gift ideas for Men this Christmas. Whether you want to treat yourself and look great on the big day or are looking for a gift, Look no further! 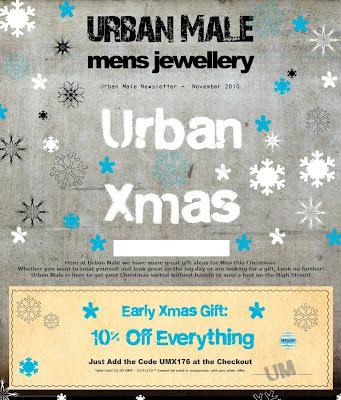 Urban Male is here to get your Christmas sorted without having to step a foot on the High Street! As an early present here is a voucher to get you in the festive mood! Click on the image to get your voucher!